Desmond Jaddoo is a former Birmingham City Council housing officer and local entrepreneur with previous interests in radio, music, artist management and the independent record industry. He works extensively with Birmingham’s various communities and formed the Birmingham Empowerment Forum to reconnect the community with governance through participation and consultation, giving voice to people who otherwise may not be heard. Raised in Aston, he has been involved in several community projects in inner city Birmingham. A former marketing director at PricewaterhouseCoopers, Nick Venning is best known for his work with Birmingham charities and good causes. 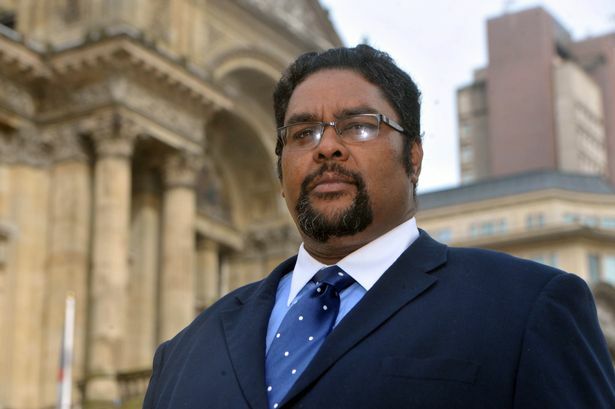 He was a founder of Thrive, Birmingham’s corporate social responsibility network of which he is co-chair, and is deputy chairman and trustee of Birmingham Civic Society. Committed to promoting Birmingham as a world-class business centre, he is a former director of Birmingham Forward and was co-founder and chairman of Birmingham Future. He chaired St Basils fund raising committee for TEN years and sits on the West Midlands development committee of The Prince’s Trust. Gavin Orton is chairman of Birmingham Civic Society, the organisation which celebrates the city’s heritage, promotes citizenship and recognises the people and places which contribute to the life of the city. The society was formed just after the First World War. An architect who works at BPN Architects, Gavin Orton has been a trustee of BCS since 2013 and chairs the society’s planning committee. Until last year he was the West Midlands regional chair of the Royal Institute of British Architects. Ravi Subramanian is the West Midlands regional secretary of UNISON, the public service union. His remit covers hundreds of UNISON branches in the West Midlands region. He became regional secretary in May 2011, having previously been a regional manager and regional organiser. In his time in the post he has spoken out on behalf of his members on subjects as diverse as NHS staffing, local authority spending cuts, police cuts and curbs to trade union power. Abdullah Rehman, chief executive of the Balsall Heath Forum, received an MBE in this year’s New Year’s Honours in recognition of his services to the community. The forum, inspired by Abdullah Rehman’s father, works towards cohesion among all communities in Balsall Heath and holds annual awards ceremonies. The Dynamic Youth awards recognise youngsters excelling in education, sport or citizenship, while the Heart of Gold awards recognise adults who are good citizens and who work to improve their neighbourhoods. Saidul Haque Saeed is the community organiser at Citizens UK in Birmingham. He also co-chairs Lozells Neighbourhood Forum. His background is in the health service and he was a patient and public involvement officer at Heart of England Teaching PCT before moving on to a similar role with Birmingham and Solihull NHS Cluster. Citizens UK is aimed at building a broad-based civil society alliance for social justice in Birmingham. In particular, the organisation created welcome packs and offered housing and support to Syrian refugees arriving in the city. Andy Foote founded and ran the Joseph Foote Trust for 10 years, named after his son who suffered from a brain tumour and died in 2007. The trust merged with Brain Tumour UK and subsequently became The Brain Tumour Charity in 2102. Andy Foote, who is a trustee, has raised more than £2.4 million to fund research at University of Nottingham’s Children’s Brain Tumour Research Centre. A former professional footballer who lives in Solihull, he is a director with Seven Invest, the distribution channel for residential development company Seven Capital. He was an Olympic torch bearer in 2012. The Chamberlain Forum is a neighbourhood organisation aimed at improving Birmingham through community leadership. Inspired by the success of similar organisations in Balsall Heath and Castle Vale, the forum aims to empower people for the good of the city. Paul Slatter is the forum’s director, having previously been manager for the Birmingham Community Empowerment Network and head of policy at People for Action. He believes that post-Kerslake, Birmingham has a real opportunity to become a less bureaucratic council capable of building a real partnership with its citizens. The Royal Town of Sutton Coldfield has long been an uncomfortable bedfellow with the City of Birmingham, and Ken Rushton has led the campaign to get greater freedom from the city council, backed by a 10,000-signature petition. In a postal referendum, almost 70 per cent of those who voted chose the option of a directly elected town council with some tax raising powers to run local services independently of Birmingham. In May, Sutton voters will elect the new town council, with 24 new councillors running services including street cleaning and parks and with a say on planning issues.